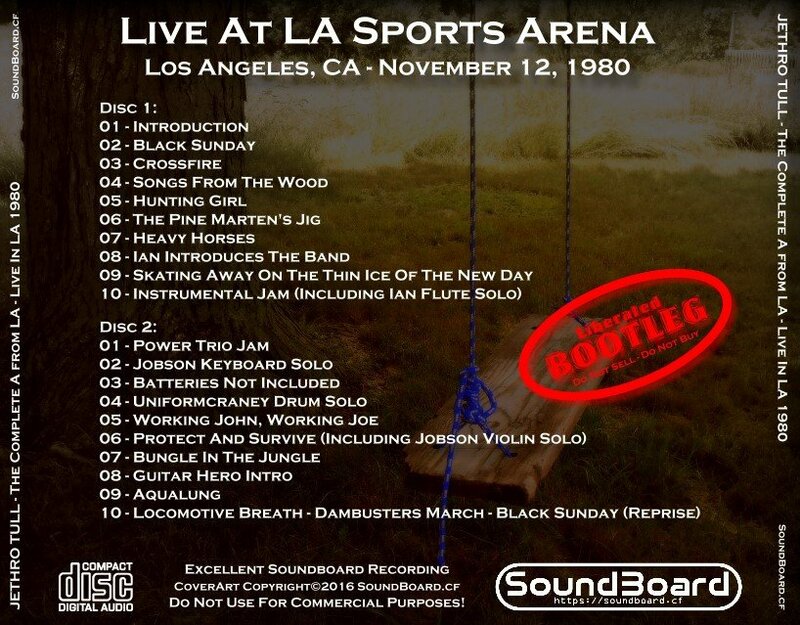 This LA show, along with the partial St Louis show from 1980 have been out there for some time, predominately circulated as the bootlegs "The Pine Ian's Jig", "Flute in the Rock" and "Caught In The Crossfire". There was also a CDr release by the amjt news group called "B", which at the time, was the most complete version of LA show out there, although not quite 100% correct. The source they used was a tape made from the actual FM broadcast and while it is a pretty good sounding show, it lacks the fidelity of the TPIJ and CitC bootlegs, which I "believe" are derived from the pre-FM vinyl masters. In addition, the "B" FM broadcast did not have the exact correct track order, but that was not entirely their fault, they used the track order of the broadcast, which jumbled a few songs at the end. The "Flute in the Rock" show appears to be either the actual FM or a vinyl rip, most likely the later since it sounds like you can hear pops, but this show is a few notches down in sound quality compared to the other two pre-FM vinyl rips and the track order is jumbled as well. In any case, I wanted this show in the proper order and complete, using the best sources available, so I thought it worth while to put the full show together, initally for my own benefit but as I finished it, I thought other folks would want this as well, so here it is. It's not perfect, but I think this is definately an upgrade over the other versions IMO. pulled the "Intro" and the "Interview" from the "B" release to make it *complete*. I tried to make the transitions as smooth as possible (this was not easy for me but frankly, the transitions in the original shows are much WORSE, with all the drops, etc. ), so this version is much improved in that area. I also normalized the loudness of the show across the entire recording. No EQ, or anything else was done to the recordings. Lastly, I removed as many vinyl pops as I could find and the louder ones are gone now for the most part, including all the "drops". I only named the show in order to differentiate it from the others. I know the Interview is not a typical add on, I had to include it after listening to it again. The interviewer sounds like he smoked a huge bowl before getting on the air and Ian's reactions and "uum's" are funny as hell. Ian does give some great insights to the band workings at this time and during the 1980 A tour, so I thought it would be a good compliment to the complete "La La Land" show. Ian is intelligent as hell, he sounds like a Harvard educated scholar and I could listen to him speak for days, I know that sounds wierd but I also know a lot of Tull fans think the same. Hopefully some of you feel the same as me and think this is an upgrade. 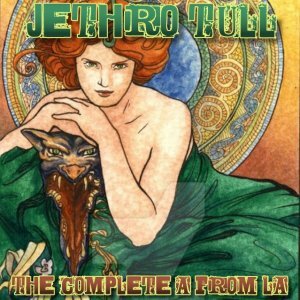 The Complete A from LA 0 out of 5 based on 0 ratings. 0 user reviews.